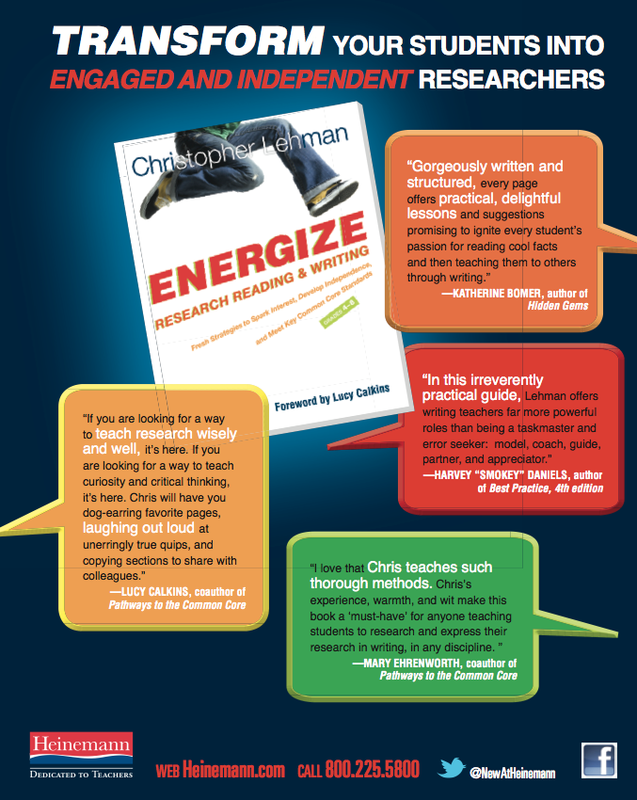 Chris’ third book, Energize Research Reading and Writing: Fresh Strategies to Spark Interest, Develop Independence, and Meet Key Common Core Standards, Grades 4-8.
. @ichrislehman Just finished ENERGIZE and I LOVED IT! Can’t wait to talk to more teachers about this one. Amazing! Sit down with Christopher Lehman as he shares the strategies he has used to make research reading and writing real and motivating for students. Chris draws on his experience with the Reading and Writing Project and as co-author of Pathways to the Common Core to help you tailor your instruction to your students’ needs, get to the heart of the Common Core State Standards, and, most importantly, challenge your students to become driven, inquisitive thinkers who can meet the demands of school and life in the 21st century. · a quick-reference chart that links each strategy to the CCSS so you can quickly turn to the strategies that aim to align with a particular standard. 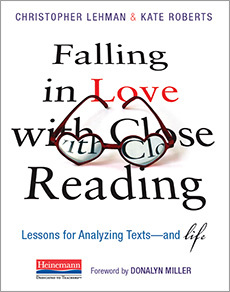 Use this book as a complete research unit plan or as a source for targeted strategies. Energize Research Reading and Writing has all the tools you need to transform your students into engaged and independent researchers.